Winter can really take it's toll on us. That's why we say it's for the birds! 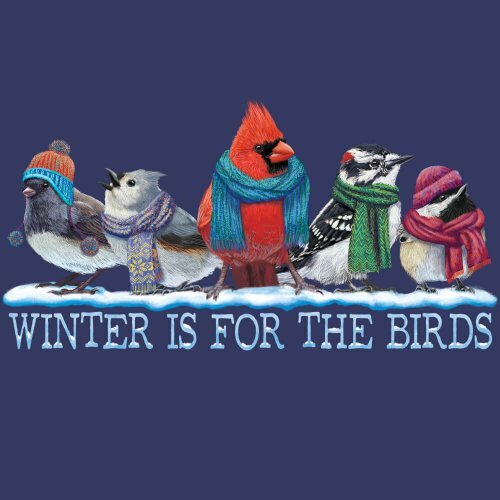 This adorable little flock is all bundled up for the cold weather. Features a Dark-eyed junco, Tufted titmouse, Northern cardinal, Downy woodpecker, and Black-capped chickadee preparing for snow. Available on t-shirts and sweatshirts.